Like the Pro2 Contractor Series HDMI cables, the RedMere Series supports the latest High Speed with Ethernet standard. This means that they will be backward compatible with older HDMI standards while also supporting all current HDMI technologies, including ARC (Audio Return Channel). 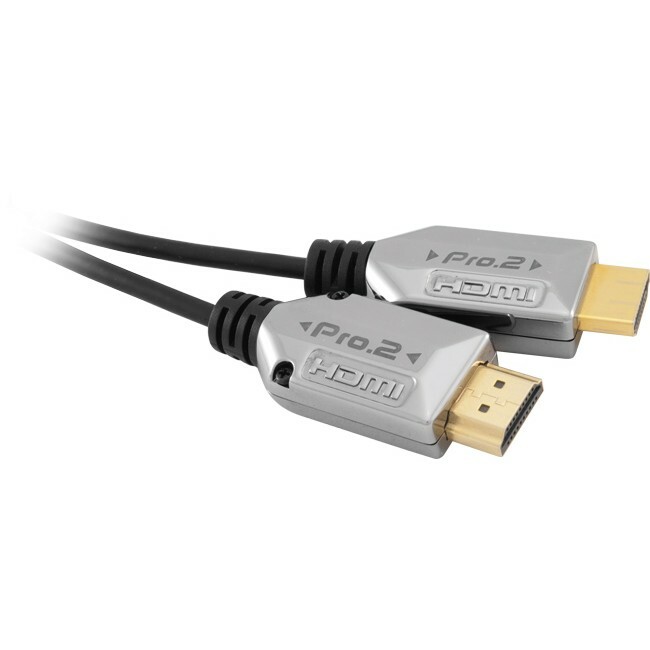 The unique feature of the RedMere Pro2 HDMI cables is the super slim form factor, meaning they are aesthetically ideal for any connection outside of the wall and in particular, for behind slim TV panels. 55% thinner than conventional cables! Are the Redmere HDMI cables directional? Yes; each have a source end and a sink end. This is indicated on the cable connectors with arrows for easy reference! Q: If the Redmere HDMI cables are directional, how does ARC and Ethernet over HDMI work? The bi-directional data streams are independent of the Redmere technology; they go through the cable uninterrupted just like a regular HDMI cable.